Africa has many success stories among its 54 countries. Nine of the world’s 20 fastest-growing economies of the past two decades are in Africa, and poverty is declining while education and health are improving. Yet both the media headlines and America’s priorities are too often concerned only with terrorism, outbreaks of violence, or Ebola. 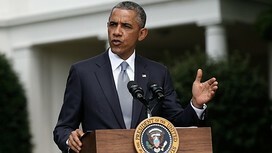 This week’s US-Africa Leaders Summit in Washington offers President Barack Obama a chance to refocus US foreign policy. The big strategic issue facing the US in Africa today is to find the right balance between building new drone bases to fight terrorism and strengthening business relations that sustain mutually-beneficial economic and social development. While the US’s militaristic emphasis may be understandable, its foreign policy in Africa should shift significantly toward support for trade, finance, and cultural co-operation. US policy must be as variegated as the landscape of Africa. Many African countries have put in place good macroeconomic policies and governance, and yet investment has still not arrived. As a result, even countries that have introduced reforms and achieved high growth have not generated enough formal sector employment to absorb the growing labour force. Mineral exports have provided foreign exchange and fiscal revenue but not jobs, especially for frustrated youth in urban areas. Mining and oil companies have invested in Africa, but have too often also excelled at exploiting it. The colonial tradition of taking resources out of a country, without thinking how they could be used to develop it, has persisted. Even now, US petroleum companies resist calls for transparency, and use American courts to stymie efforts to enhance it. There is a broad business agenda: the US should encourage foreign direct investment into labour-intensive light manufacturing and agro-processing industries, where Africa’s large pool of unskilled labour could be used. To get the most from limited resources, it could launch programmes and financing schemes to share risk with investors from all over the world. The African Growth and Opportunity Act has offered incentives for African countries to pursue reforms and open their economies since 1991. But it does not address the biggest challenges for small and medium-sized enterprises. President Obama should make it a priority to renew AGOA well beyond 2015, to provide predictability for manufacturers, buyers, and investors both in the US and Africa. The US should also work to make it more effective – for instance, by relaxing rules of origin and offering tax incentives to US companies investing in non-oil sectors. Renewing AGOA legislation in this way would offer an opportunity to facilitate the integration of African SMEs into global value chains. The US could also support programmes that include advisory services, marketing information, technology access and training, and access to equipment and warehouses. In education and research, a vastly expanded Fulbright programme would benefit both Americans and Africans; but, in addition, joint research projects under the auspices of a range of US government departments would promote health, science and agriculture, and help Africa prepare for global warming. US co-operation would yield high pay-offs in making better use of the continent’s huge potential for hydro, solar and other renewable resources. In pharmaceuticals in particular, the US would be on the right side of history in helping to ensure Africa has access both to life-saving drugs and the knowledge necessary for developing them. It is ironic that the US, usually the strongest advocate of intellectual property rights, has not ratified the Convention on Biological Diversity, under pressure from pharmaceutical companies that fear it would provide “excessive” protection for the IP associated with the use in their products of genetic material derived from plants or animals in developing countries. In pursuing all these objectives, the US should work closely with the international financial institutions. The World Bank has a wealth of expertise on Africa; in fact, many of the ideas in this feature have been proposed by Célestin Monga, one of its most innovative thinkers. While the IFIs have rightly been criticised for the structural adjustment policies of the past, they are now taking new directions. Even in the current disappointing business environments of many African countries, it is possible for good projects and programmes to be implemented in well-designed industrial parks to address infrastructure shortages and ignite industrialisation. In these islands of excellence, competitive industries could be developed in sectors such as agribusiness, light manufacturing or tourism, and serve as entry points for others. Mr Obama’s summit meeting with African leaders provides a unique opportunity for forging a new partnership to exploit America’s strengths to the benefit of both the US and Africa. The writer is a professor at Columbia University and a former chief economist of the World BankCopyright The Financial Times Limited 2014.